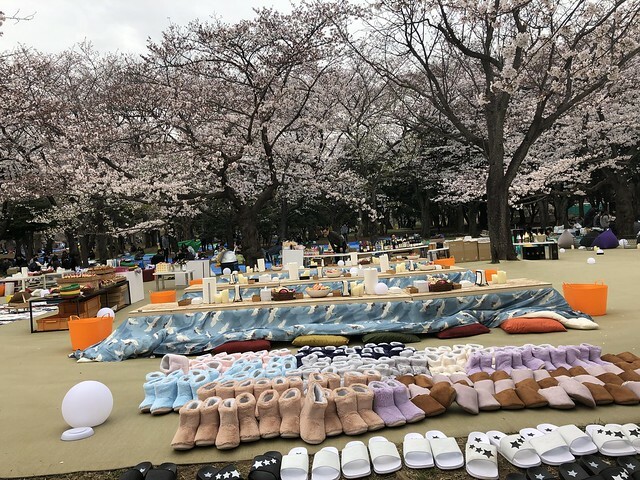 Just another random musing not because I have ran out of things to write, but what I pen down my experience and thoughts over the Spring period in Japan. 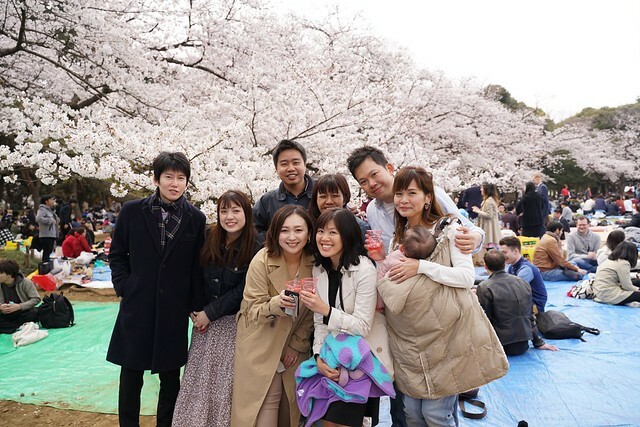 For the past 3 weeks or so, friends from Singapore have came over for their Spring holiday! 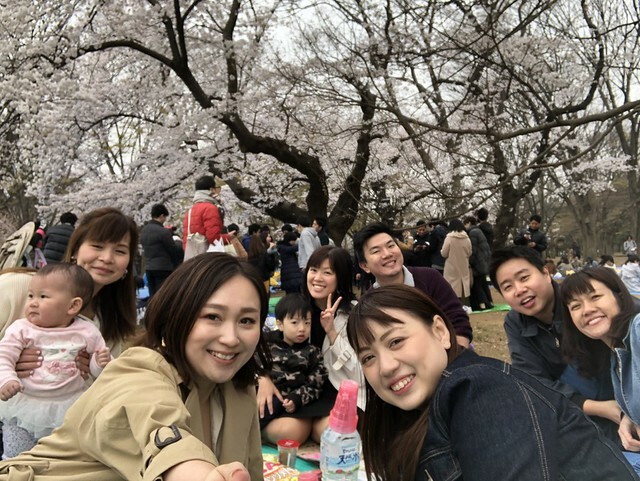 Well, it was all planned beforehand, and we had a hanami session at Yoyogi Park! 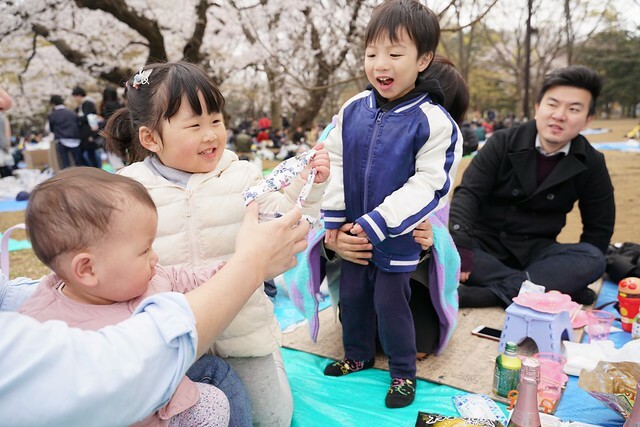 Here are some pictures from the hanami session! 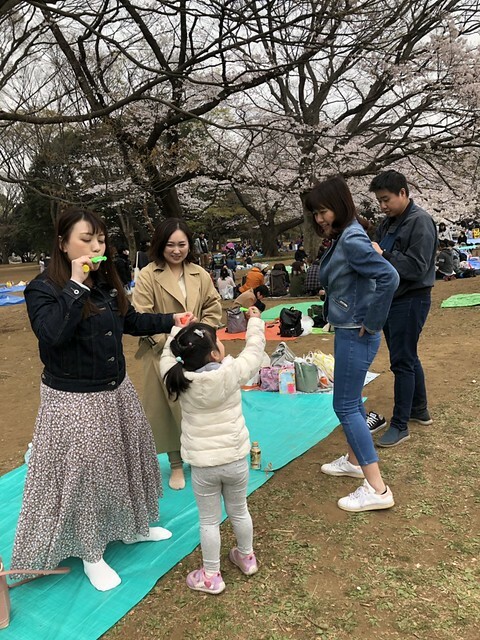 This hanami party by another group is very legit because theirs was well catered to, and they had waiters and even bodyguards in black to guard their area! I was so shocked to see this! We also had a birthday celebration for the girls (Avelyn & Kaelyn) as their birthdays were around the corner! 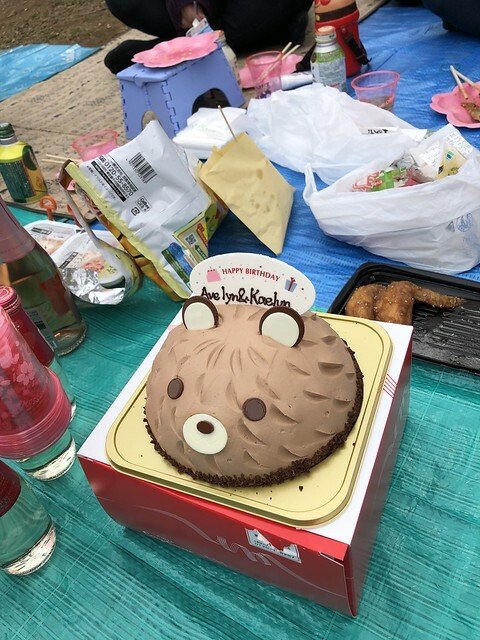 The cake from Ginza Cozy Corner is pretty good! And I totally recommend this! Not too expensive yet delicious! 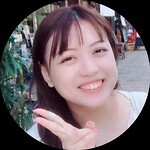 Loving this picture taken by YQ’s husband, XY! His camera’s photos turned out really great! And I’m totally sold to his camera! I can’t really remember which Sony model was it. Because of the pretty photos taken by him, I’m currently aiming at a Sony A6000, which is said to be good for beginners. Loving this group photo taken by a couple who happens to have the same camera as XY. Much thanks to the photographer for helping us to take this beautiful photo! 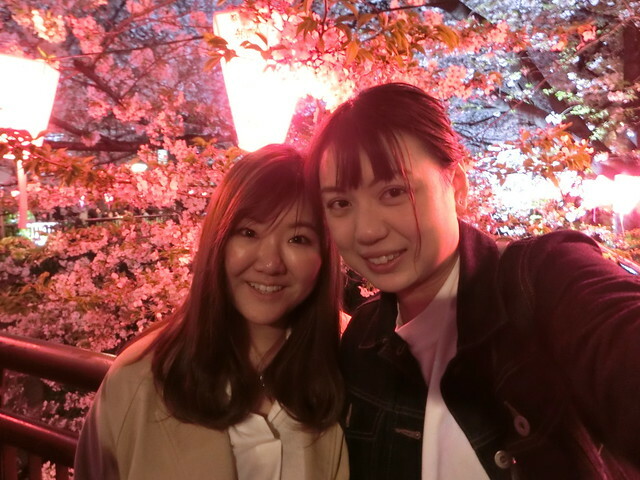 Went with another Singaporean, my fashionable friend, SS, to Nakameguro for sakura viewing at night after our shopping in Shinjuku. As usual, that place is always filled with people, and we didn’t stayed long to view. 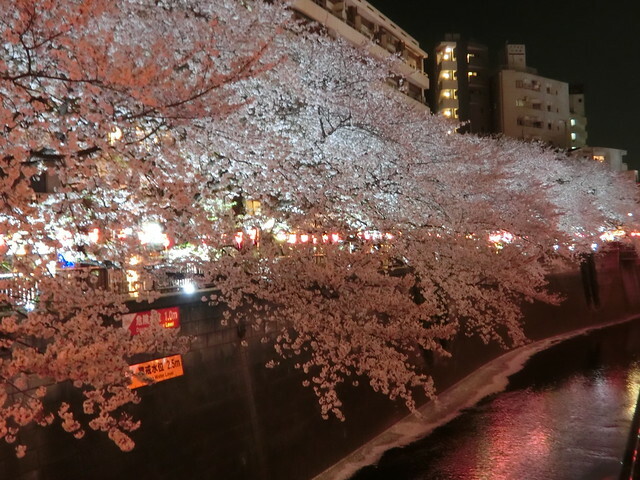 Here are some pictures of that night’s sakura viewing, taken with Casio EX-ZR1500! The best image taken with Casio goes to…. I was so shocked that my camera could take such an image! It is really unbelievable! Really loved the colors inside this picture. Much thanks to SS for the company. 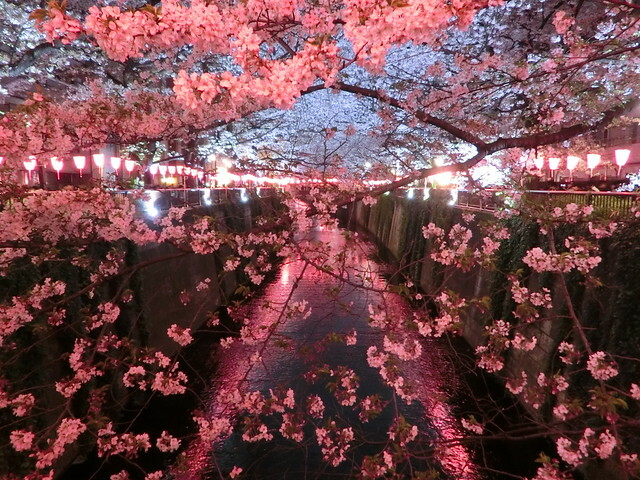 The sakuras are going to wilt soon, but you can still catch them in the Northern parts of Japan as they tend to bloom later! 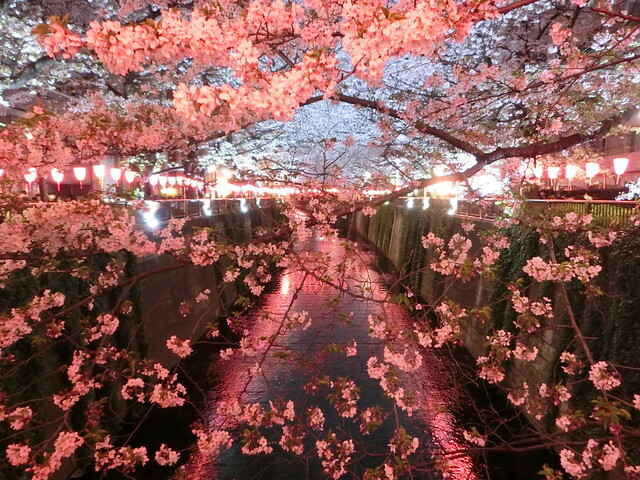 But if you want to visit Tokyo’s sakura (cherry blossoms), you can come next year again, around end March to early April!